Laser therapy is a treatment that uses wavelengths to interact with tissue, and this speeds up the healing process. It can be used for those who suffer from acute and chronic conditions, and it is also used to eliminate spasms, pains, and swelling. Cold lasers are usually handheld, and they are used by the clinician. They are around the size of a flashlight, and normally the laser is placed over the affected area for around 30 seconds. On top of this, it also helps to produce non-thermal photons of light. The light passes through the skin layers including the layers of the tissue and even the fat that is under the skin. Our laser therapy services are some of the best around, and we are here to work with you to personally ensure you are happy with the service you have been given. We are always happy to support you with any questions you may have. Our laser therapy has been proven to be very effective in the past, and we are working diligently to make sure you are getting the best treatment. With a team of experts and staff who have extensive experience in laser therapy, you know you won’t have any problems in hiring our team. 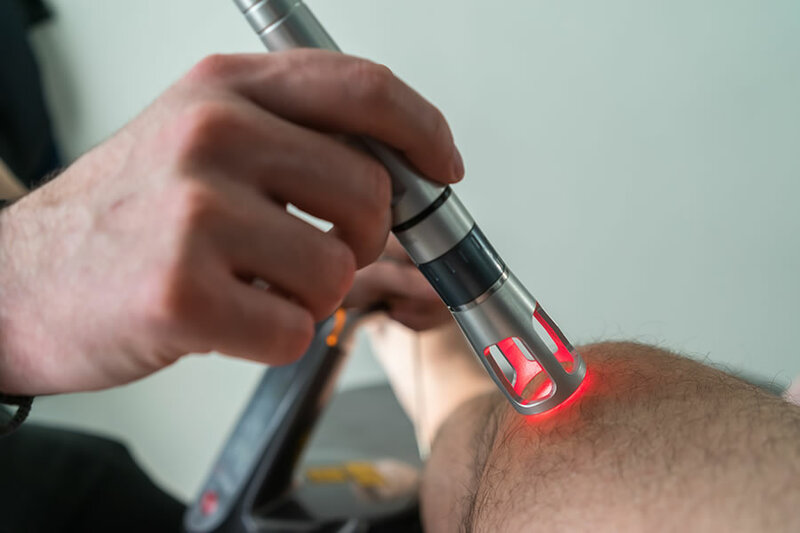 Our laser therapy can be used in conjunction with other treatment options, and we are happy to help you make sure that you get the therapy you need. If you want to know more all you have to do is get in touch with us today. We can’t wait to hear from you, and we’re always happy to chat with you about our services and laser therapy treatment alternatives. Rated Best Chiropractor 2010, 2011, 2012, and 2014 by Encore Magazine.